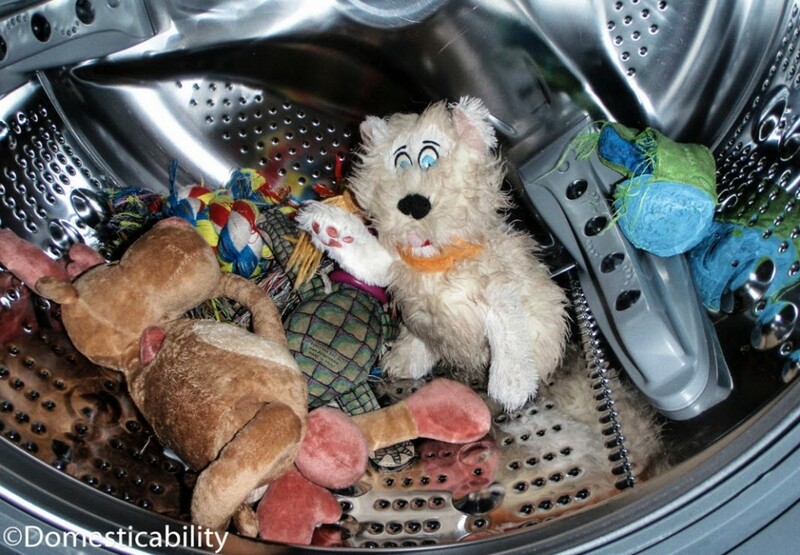 Keep your dog’s stuffed toys clean! Check any tags on the toys to see if they have washing instructions. Put any delicate plush toys or ones that have any sewn-on parts, such as the eyes or a bow tie, in a laundry bag. Put any durable toys directly into the washer. Wash the toys with a small amount of an unscented environmentally-friendly detergent.